Along with the 15 property expos in Russia, DOMAZA became official media partner with the International Property Show (IPS) 2015 in Dubai. IPS is a premium innovative platform held annually for both International and Local Real Estate companies involved in the sale of properties to different buyers to showcase their products and services and conduct serious business. The event is accredited by the Dubai Real Estate Regulatory Authority (RERA) so that companies can improve their profitability, enhance competitive advantage, and sell properties to visitors and investors. The International Property Show aims to bring together developers, real estate brokers, private and institutional investors from the Middle East, Europe and Asia Pacific regions. IPS and DOMAZA support the real estate market and the companies operating in the sector and/or other related activities such as brokerage, finance, and construction among others. The majority of companies participating are from various countries including the United Arab Emirates, United Kingdom, Brazil, Philippines, Thailand, Morocco, Turkey, Cyprus, Egypt, and Canada. The event has been structured in a manner so that it provides reliable and accurate information for investors about the potential opportunities in the real estate industry. It seeks to act as an event where companies can meet prospective clients and network with government officials and policy makers from all over the world. 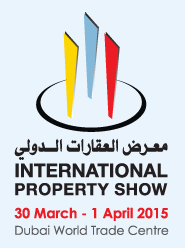 The International Property Show is a true platform for both local and international property companies to showcase products and services. IPS aims to bring together developers, real estate brokers, private and institutional investors.